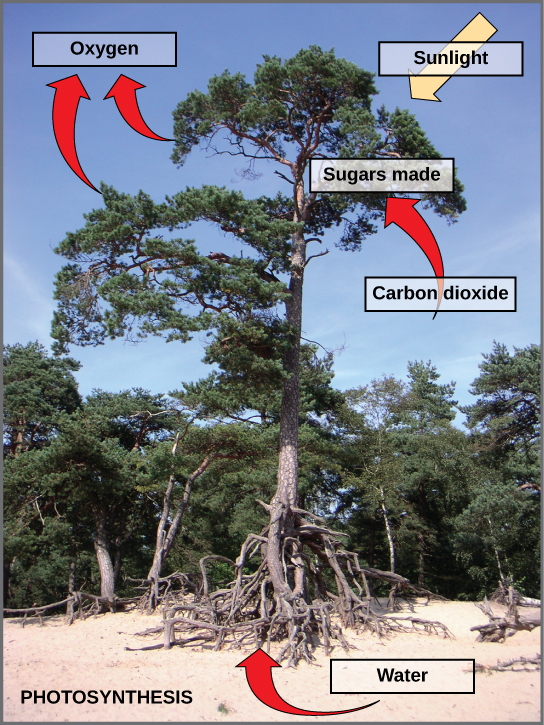 Photosynthetic reactions can be anoxygenic, thus they do not produce oxygen. 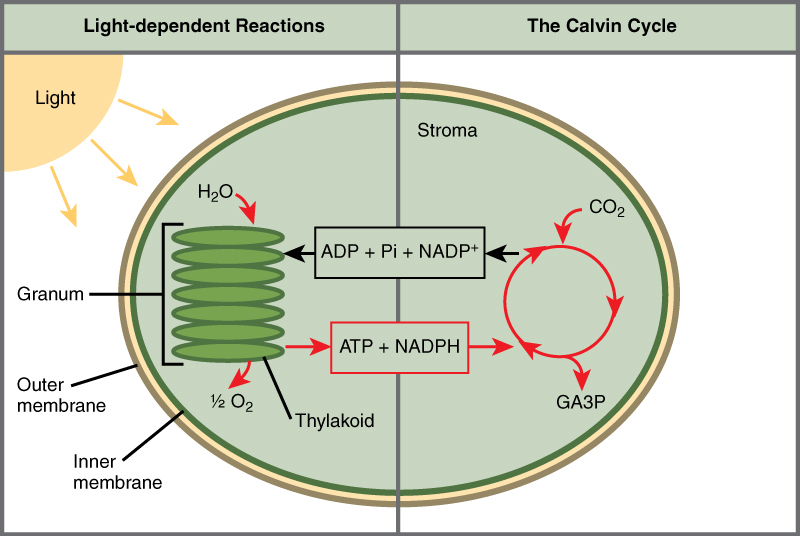 Anoxygenic photosynthesis produces cellular energy ( ATP ), without oxygen as a by-product. As opposed to eukaryotic organisms, which rely on chlorophylls for photosynthesis, anoxygenic organisms rely on bacteriochlorophylls. The electron transport chain of anoxygenic phototrophs is cyclic, meaning the electrons used during photosynthesis are fed back into the system, therefore no electrons are left over to oxidize water into oxygen. electron transport chain: An electron transport chain (ETC) couples electron transfer between an electron donor (such as NADH) and an electron acceptor (such as O2) with the transfer of H+ ions (protons) across a membrane. The resulting electrochemical proton gradient is used to generate chemical energy in the form of adenosine triphosphate (ATP). Electron transport chains are the cellular mechanisms used for extracting energy from sunlight in photosynthesis and also from redox reactions, such as the oxidation of sugars (respiration). electron donor: An electron donor is a chemical entity that donates electrons to another compound. It is a reducing agent that, by virtue of its donating electrons, is itself oxidized in the process. Phototrophy is the process by which organisms trap light energy (photons) and store it as chemical energy in the form of ATP and/or reducing power in NADPH. There are two major types of phototrophy: chlorophyll-based chlorophototrophy and rhodopsin-based retinalophototrophy. Chlorophototrophy can further be divided into oxygenic photosynthesis and anoxygenic phototrophy. Oxygenic and anoxygenic photosynthesizing organisms undergo different reactions either in the presence of light or with no direct contribution of light to the chemical reaction (colloquially called “light reactions” and “dark reactions”, respectively). 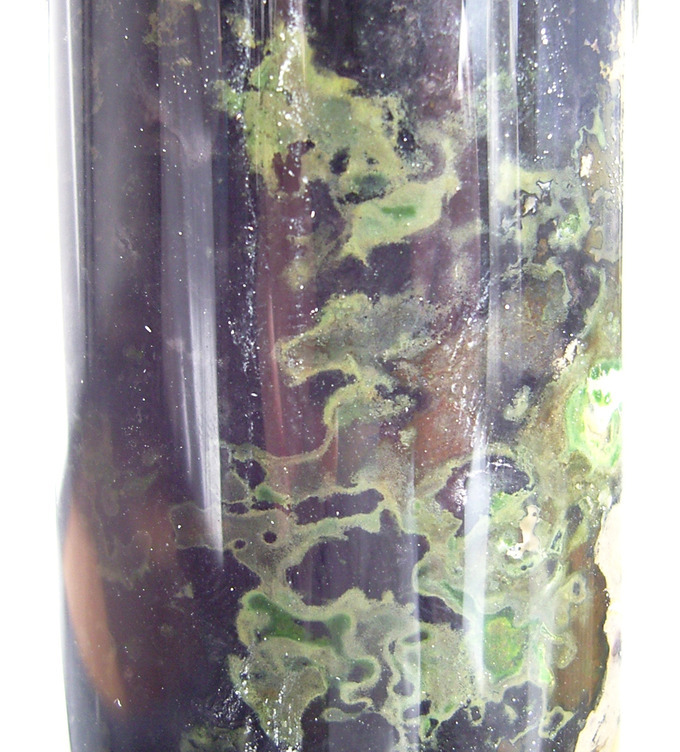 Green d winogradsky: A column containing green sulfur bacteria which uses anoxygenic photosynthesis. Anoxygenic photosynthesis is the phototrophic process where light energy is captured and converted to ATP, without the production of oxygen. Water is therefore not used as an electron donor. There are several groups of bacteria that undergo anoxygenic photosynthesis: Green sulfur bacteria, green and red filamentous anoxygenic phototrophs (FAPs), phototrophic purple bacteria, phototrophic Acidobacteria, and phototrophic heliobacteria. 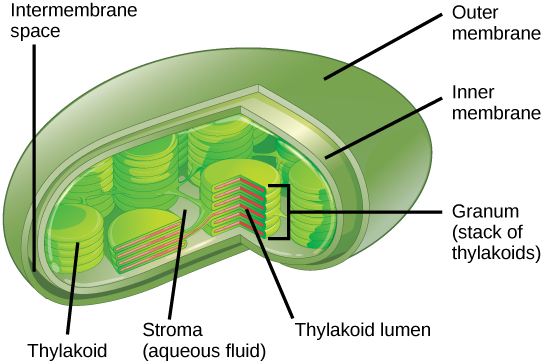 Anoxygenic phototrophs have photosynthetic pigments called bacteriochlorophylls (similar to chlorophyll found in eukaryotes). Bacteriochlorophyll a and b have wavelengths of maximum absorption at 775 nm and 790 nm, respectively in ether. In vivo however, due to shared extended resonance structures, these pigments were found to maximally absorb wavelengths out further into the near-infrared. Bacteriochlorophylls c-g have the corresponding “peak” absorbance at more blue wavelengths when dissolved in an organic solvent, but are similarly red-shifted within their natural environment (with the exception of bacteriochlorophyll f, which has not been naturally observed).Unlike oxygenic phototrophs, anoxygenic photosynthesis only functions using (by phylum) either one of two possible types of photosystem. This restricts them to cyclic electron flow and are therefore unable to produce O2 from the oxidization of H2O. The cyclic nature of the electron flow is typified in purple non-sulfur bacteria. The electron transport chain of purple non-sulfur bacteria begins when the reaction centre bacteriochlorophyll pair, P870, becomes excited from the absorption of light. Excited P870 will then donate an electron to Bacteriopheophytin, which then passes it on to a series of electron carriers down the electron chain. In the process, it will generate a proton motor force (PMF) which can then be used to synthesize ATP by oxidative phosphorylation. The electron returns to P870 at the end of the chain so it can be used again once light excites the reaction-center. Therefore electrons are not left over to oxidize H2O into O2.